Netlify provides continuous deployment services, global CDN, ultra-fast DNS, atomic deploys, instant cache invalidation, one-click SSL, a browser-based interface, a CLI, and many other features for managing your Hugo website. You have completed the Quick Start or have a Hugo website you are ready to deploy and share with the world. 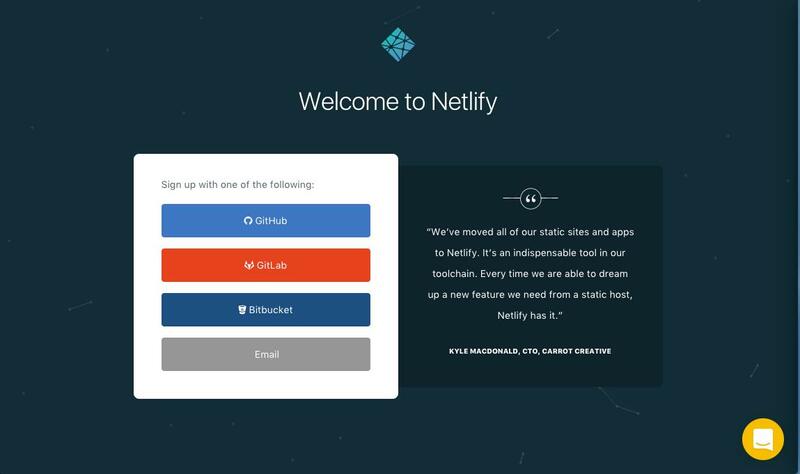 You do not already have a Netlify account. Go to app.netlify.com and select your preferred signup method. This will likely be a hosted Git provider, although you also have the option to sign up with an email address. 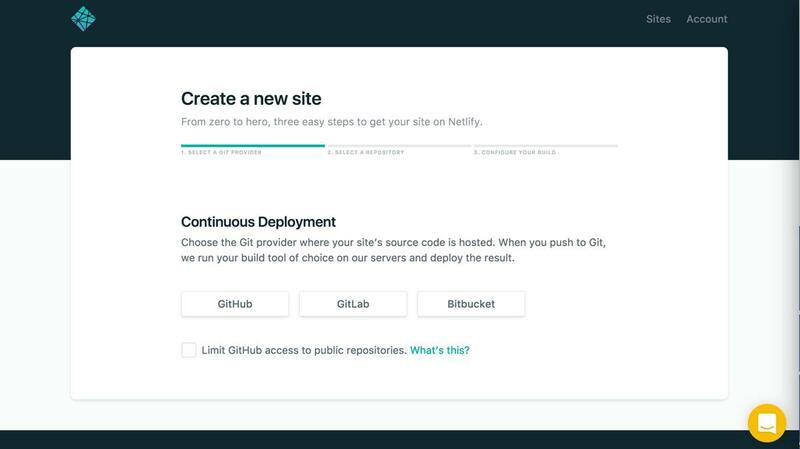 The following examples use GitHub, but other git providers will follow a similar process. 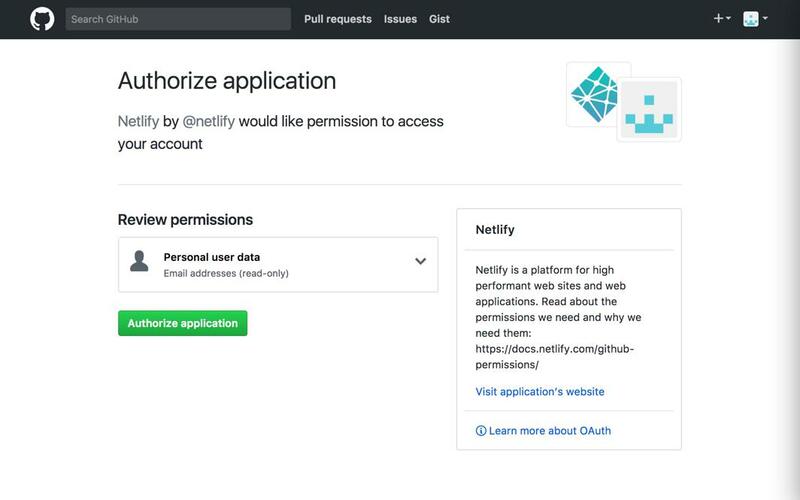 Netlify will then start walking you through the steps necessary for continuous deployment. 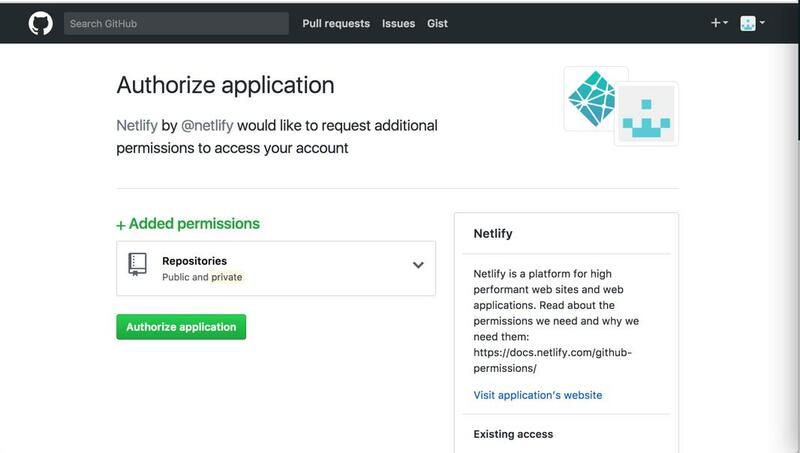 First, you’ll need to select your git provider again, but this time you are giving Netlify added permissions to your repositories. Once selected, you’ll be brought to a screen for basic setup. Here you can select the branch you wanted published, your build command, and your publish (i.e. deploy) directory. 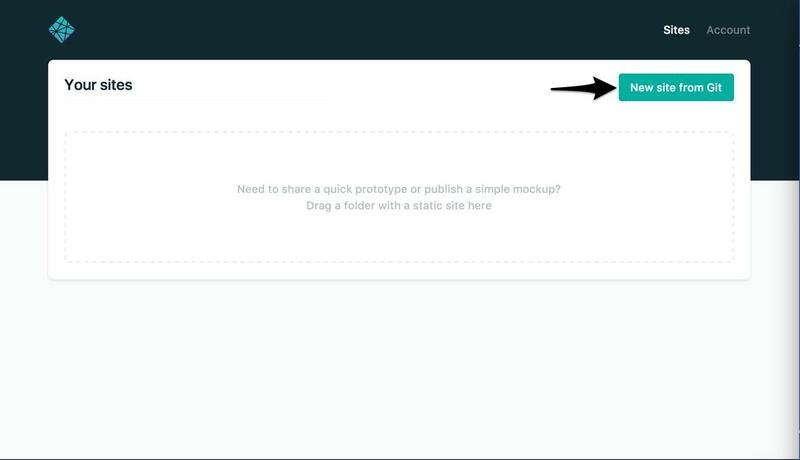 The publish directory should mirror that of what you’ve set in your site configuration, the default of which is public. The following steps assume you are publishing from the master branch. You can set Hugo version for your environments in netlify.toml file or set HUGO_VERSION as a build environment variable in the Netlify console. command = "hugo --gc --minify --buildFuture -b $DEPLOY_PRIME_URL"
command = "hugo --gc --minify -b $DEPLOY_PRIME_URL"
In the Netlify console, selecting “Deploy site” will immediately take you to a terminal for your build:. 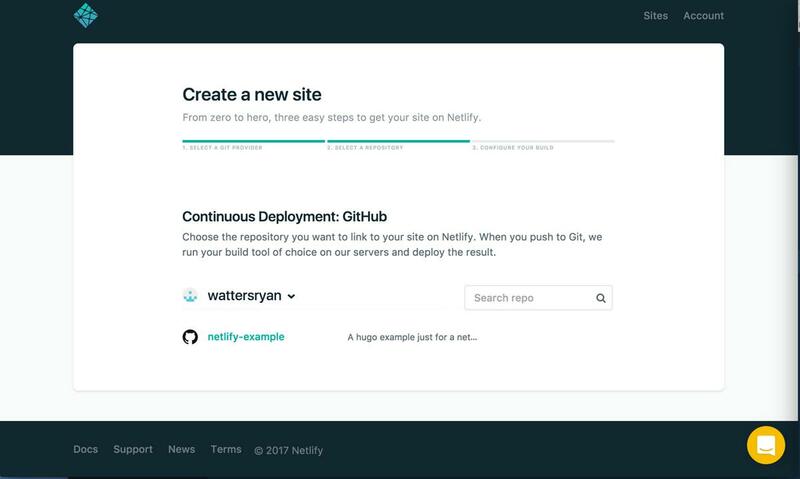 Now every time you push changes to your hosted git repository, Netlify will rebuild and redeploy your site. See this blog post for more details about how Netlify handles Hugo versions. The git clone method for installing themes is not supported by Netlify. If you were to use git clone, it would require you to recursively remove the .git subdirectory from the theme folder and would therefore prevent compatibility with future versions of the theme. It is recommended to only use stable versions of a theme (if it’s versioned) and always check the changelog. This can be done by checking out a specific release within the theme’s directory.